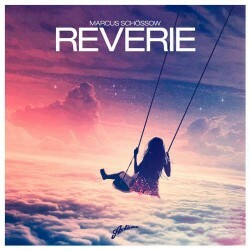 Three months after his brassy release “Liceu” with Sebjak, which was soon followed by the dreamy “Young And Beautiful” remake, Marcus Schossow brings us the weighty progressive house track “Reverie”. Out now on Axtone Records, the Swedish artist unleashes a monster that touches on multiple electronic genres: progressive riffs, rapid-fire electro flashes, and a spacious trance feel. “Reverie” lives up to its name by captivating a listener, trapping them in a whirlwind of sound that doesn't stop till the final note fades. Coincinding with the release is a 5-show tour through North America, bringing Schossow to San Francisco, Vancouver, Chicago, Philadelphia and New York, tickets to which can be found below. Robbie Rivera vs Tom Staar's energy bursts into "The Funkatron"
Marcus Schossow returns to Axtone for "Aware"